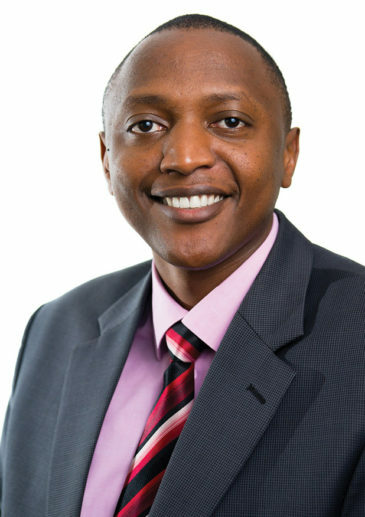 Alex Njage is a partner in our Nairobi office and is Head of the Kenyan Commercial Property Practice. construction and infrastructure development where Alex has advised various clients on an array of construction contracts including FIDIC, the Kenyan JBC Contract. Some of his major clients include: Tatu City (the largest mixed use Real Estate development in Eastern Africa in terms of capital invested already), Old Mutual Property, Mara Delta Property Holdings, LSG SkyChefs, Al Jazeera, Procter and Gamble, Brookside Dairy, Mara Delta Property Holdings, LSG SkyChefs, The Nature Conservancy, The Lewa Wildlife Conservancy, Borana Conservancy, Ol Pejeta Conservancy, Loisaba Conservancy, Hass Consult, Base Resources Limited, Kooba Africa and Northlands City. advising The Nature Conservancy on the establishment of the Upper Tana Nairobi Water Fund. The Tana River supplies 95 percent of the water for Nairobi’s 4 million residents, and for another 5 million people living in the watershed. The Fund’s objective is to increase downstream water quality and quantity and provide positive benefits for tens of thousands of farmers in the watershed. advising eduKenya on corporate re-organisation and real estate matters. eduKenya operates schools and related development programs in the Mathare slum of Nairobi, one of Kenya’s largest slums. Alex also sits in the contracts committee of the Joint Building and Construction Council (JBCC- Kenya). He has an LLB from the University of Nairobi and a Diploma in Law and Practice from the Kenya School of Law. Advising Tatu City Limited on Sale of an industrial user portion of Tatu City Industrial Park by way of long term leases to Hangzhou Tianlong Steel Cylinders Limited, Civicon Limited, Bakpharm Limited and Vraj Limited. Advising Mara Delta Property Holdings Limited in its acquisition and lease back of a modern pharmaceutical logistics warehouse for approximately USD 22,500,000 from Imperial Health Sciences Kenya Limited. Advised Old Mutual Property Africa Investment Company Pty Limited on its USD 55 million investment to acquire 50% of the shares in Two Rivers Mall and Office Tower in Nairobi, the largest mall in East and Central Africa. Counsel to LSG SkyChefs on the development and construction of the second inflight catering kitchen at the Jomo Kenyatta International Airport Nairobi. Advising a confidential client on the construction of a cancer hospital. This involves drafting the Construction Agreement, drafting and negotiating related service agreements and negotiating with the successful bidder on the amendments made to the JBC Contract. Providing advice and preparing a construction contract based on the FIDIC Suite of Contracts specifically the Yellow Book with regard to “Avana”, a development located in Nairobi comprising of a ten floor residential building that has been designed to consist of 80 apartments and 4 penthouses. Advised The Nature Conservancy (through a wholly Kenyan-owned trust) on the acquisition of a 56,000 acre ranch in Laikipia and arrangements with an exclusive tourism partner for purposes of operating a high class tourism accommodation facility on the Ranch. Advised Ol Pejeta Conservancy on the joint venture structuring for the development of Mount Kenya Wildlife Estate, a 100 unit housing development which will be settled on a 1,000-acre piece of land owned by Ol Pejeta, on the eastern boundary of the 90,000-acre wildlife conservancy. Advised Borana Ranch on the restructuring of Borana Conservancy, one of Kenya’s leading private sector wildlife conservancies. The restructuring was aimed at creating a suitable model for sustainable conservation of Borana Conservancy in its natural habitat. Advising Bank of China Limited in its financing part of the purchase price for the acquisition of a modern pharmaceutical logistics warehouse by Mara Delta Property Holdings Limited to the tune of USD 8,555,000. Advised Equity Investment Bank Limited on the acquisition financing transaction for a USD 65 million property development project. Advised CDC in relation to project structuring, shareholding matters and other corporate and commercial matters in the development and financing for The Junction in Nairobi. Advised Base Resources Limited on land law matters arising in a USD 170 million syndicated financing project to finance its Kenyan mineral sands project that is underway in Kwale, at the Kenya coast. Ranked by Legal 500 in 2018 as a leading lawyer for Real Estate & Construction. Chambers and Partners 2018 ranked Alex in Band 2 for Corporate/Commercial: Real Estate. Alex is ranked in Band 3 for Real Estate by Chambers and Partners 2017. Legal 500 2017 lists Alex as a recommended lawyer for Real Estate and Construction.